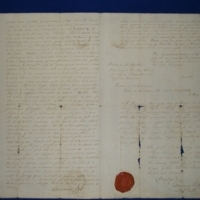 Notarial copy (1804) of Faculty Charter given by James VI in 1599 to Peter Lowe. 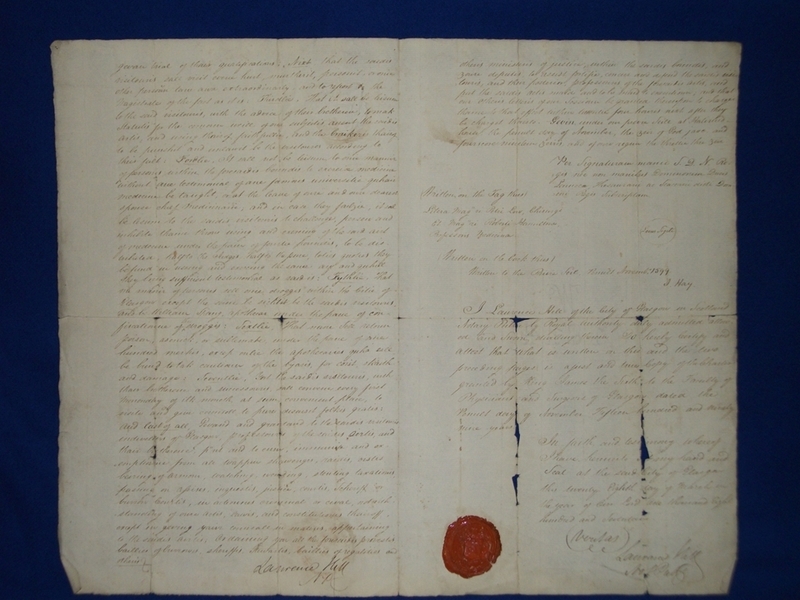 “Notarial copy of the Faculty's Royal charter,” Heritage, accessed April 23, 2019, https://heritage.rcpsg.ac.uk/items/show/25. Description: Notarial copy (1804) of Faculty Charter given by James VI in 1599 to Peter Lowe.